Find good quality cheap jeans from your favourite brands. Enjoy amazing savings on your next pair without having to break the bank. Whether you are looking for plus size jeans, blue cropped jeans, men's jeans or women's jeans you can stack voucher codes on your next purchase so you can get more value from your money. Check out special offers from reliable brands such as ebay, Very, Forever 21, H&M or Matalan. Our supportive team of deal hunters have prepared these deals just for you. Jeans are fashion essentials that you can use all year round. These garments are made to make you feel comfortable and make you look great. You can wear them anywhere, anytime, and anyhow. You can even mix it up with your favourite shirt or dress. They are also suitable to wear for work. Statistics show that 95 percent of people prefer to wear a pair of comfortable pants for any kind of activity or occasion. Pick jeans that are versatile so that you can wear it with different kinds of outfits. Opt for a pair that you can wear comfortably. Purchase jeans that conform to the size and shape of your thighs and legs. The denim should be durable and can withstand wear and tear. It should be made from sturdy material that can be worn for many years. 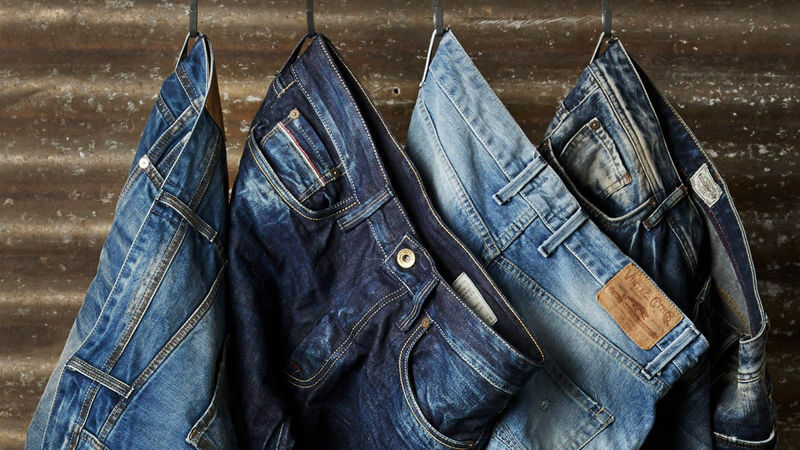 When shopping for jeans, choose the colour that suits your personality. 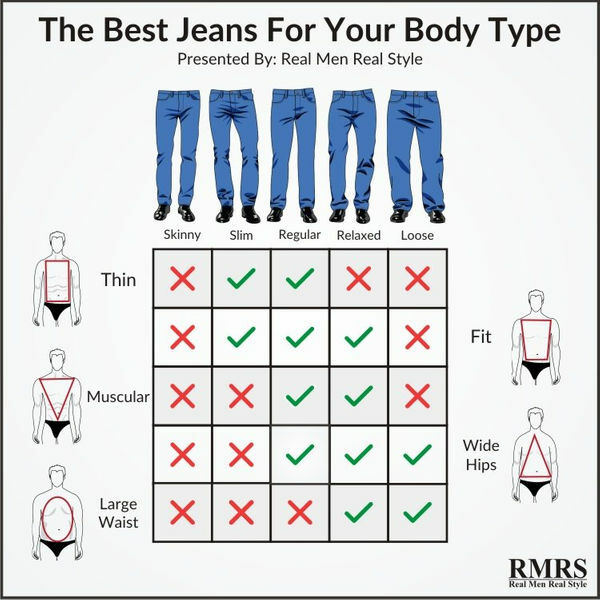 Jeans come in different colours, cuts, materials and styles. 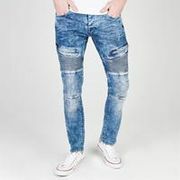 If you are looking for cheap jeans from popular brands like Jag, Levi’s, and Wrangler, you can buy them cheaply online from major UK retailers. Here at Latest Deals, you can get the best mens and womens jeans sale, discounts, special offers and voucher codes. 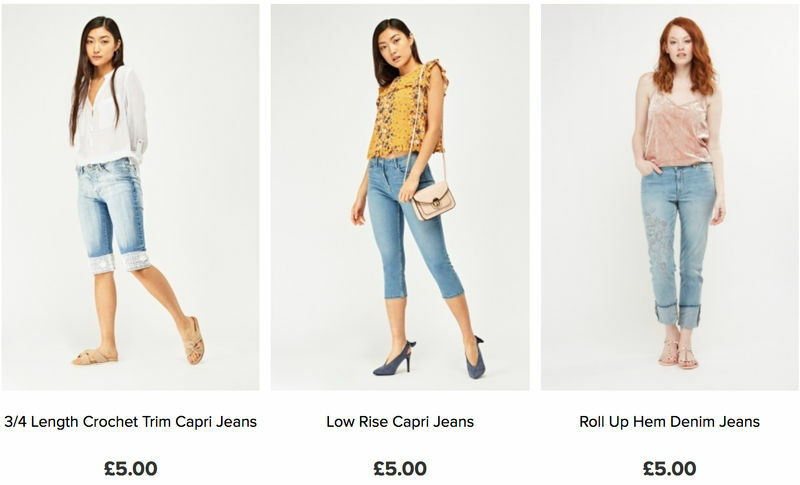 Our massive community of bargain hunters are regularly updating this page with the best fashion jeans deal and offer available across the UK. UK retailers have a clearance sale on branded women and mens jogger jeans where you can save up to 20% on your buys. Some are even offering free delivery options. You can get women's coated jegging skinny jeans and you can save as much as £20 at Amazon. You can also take advantage of exclusive discounts and free delivery if you’re an Amazon Prime member. Cheap high waisted ripped jeans are also being offered at MandM Direct and Zavvi. Choose from a wide variety of cheap ripped skinny jeans and get an extra £10 off when you buy at eBay. They are also offering a clearance sale on selected jeans. When buying cheap high waisted jeans make sure to double check the retailer’s return policy to avoid problems when you receive the actual pair. From men's jeans to womens cropped denim jeans, you can buy them and save around £5 a pair at MandM Direct. You can even buy warehouse jeans at very low prices. Buy jeans and get around £2 off for each pair at Cocosa. Purchase a hoodie at Zavvi and can get a free pair of jeans on their limited promotions. If that is not enough, you can also get any two of mens hoodie and jeans for only for the price of one. Men's straight fit jeans bring you maximum comfort and style and you can get quality items with a 20% discount at Amazon. When buying a pair of jeans the crotch of the garment should be located in your actual crotch region. If it doesn’t it can be too tight or too saggy which is not comfortable to wear. The rise is the distance between the crotch and the waistband. Choose the right one to have a more balanced and proportionate look. Low rise jeans – These are also called hipster jeans. 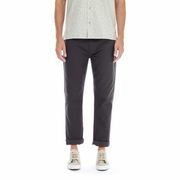 They fit low on the waist and it bet worn by average-size or short men. Men who have short legs are advised to wear low rise jeans to make them look taller. Mid-rise jeans – is designed to fall very close to your natural waistline. This is best used by people who are medium built. The style is very practical and versatile. It will definitely look good on anyone who wears it. High-rise jeans – These types of apparel looks great on people who have a slender body type. It is also best worn by people who are tall and those who have long legs. Normal / Relaxed cut jeans – These jeans give you a casual look and it can be worn with any type of clothing. It can also be worn by people of any kind of body type. Straight cut jeans –These kinds of jeans usually begin at your natural waist. It gives you a classic look and can be used for any kind of activity or occasion. Skinny jeans – These jeans are tight and is best worn by men and women who are very thin. If you are a man who wants to look strong while showing off the contour of your body, opt for slim or straight-cut jeans. Slim jeans – These are like skinny jeans and it is a good alternative to skinny jeans. They are best partnered with a pair of boots or sneakers. Bootcut jeans – It looks good when you wear boots because it does not have any extra fabric. It allows you to showcase and show off your slick pair of high boots.